Hotel Deep is conveniently located just off the Main MALL ROAD on the Kulri bazaar end of the famous Camels Back Road in Mussoorie. 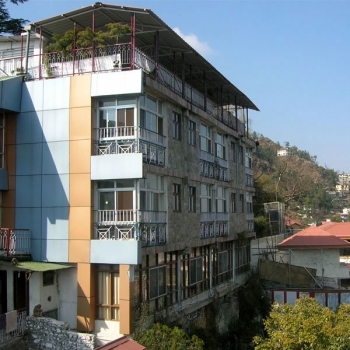 It is a budget deluxe hotel in Mussoorie which overlooks an unparalleled and unrestricted view of the lush green mountains, the majestic Himalayas and the Badri-Kedar snow peaks. You can reach by coming to the Picture Palace Bus/Taxi stand which is towards the Kulri end of the Mall road. It is a 2 minutes drive/5 minutes walk to the hotel Deep. 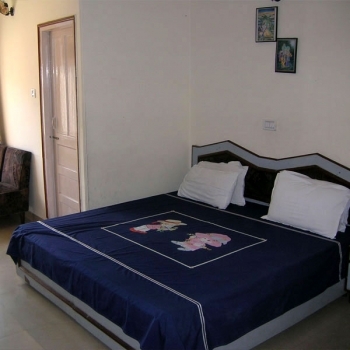 Dhanolti is about 28 kms by motor road, Kempty Falls is about 15 kms, Jawahar aquarium is 10 minutes walk from the Hotel, Muncipal Gardens is 5 km from the hotel Deep. There are 40 well appointed Bedrooms and Family Suites with modern amenities in Hotel Deep, and are specially designed to meet every requirement and mood of our guests. All rooms have an inspiring view of the Snow-capped Himalayas to soothe your senses and are tastefully furnished alongwith Satellite-Network CTV, Intercom and Designer Bathrooms. Room Service is available from 7 a.m. to 11 p.m. In Hotel Deep there is a spacious Dining Area and Lounge with music for a very relaxing meal and a variety Snacks-Menu for an anytime munch. The nearest railhead from Hotel Deep is at Dehradun 35km, The nearest Airport is Jolly Grant on the DehraDun - Rishikesh road-55km, Delhi is app. 297 km by road or rail, Haridwar and Rishikesh are app. 100 km from Hotel.